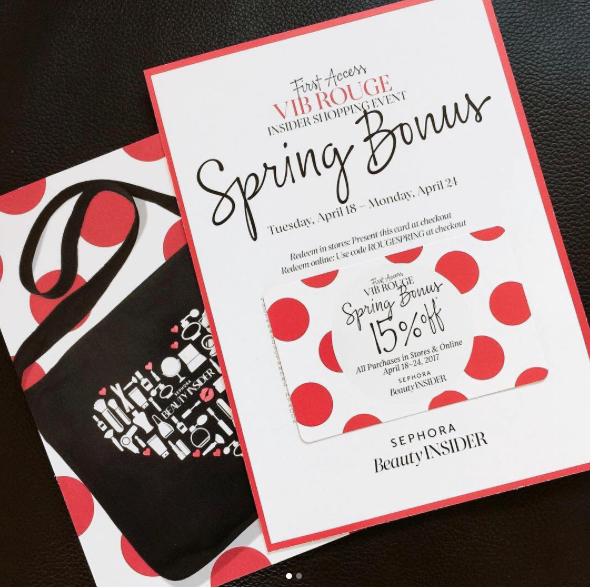 Did you guys place any orders through this Sephora 15% off sale so far? I made two orders. I totally shouldn't have - but I will be posting what I got as soon as it all comes in. I managed to stick with only skin care this time around. Not like I need any more, but there were some higher end products I wanted to try, and I figured now would be the time. Although the 20% off sale at the end of the year would have been a better time. Ah well! Look out for that post! 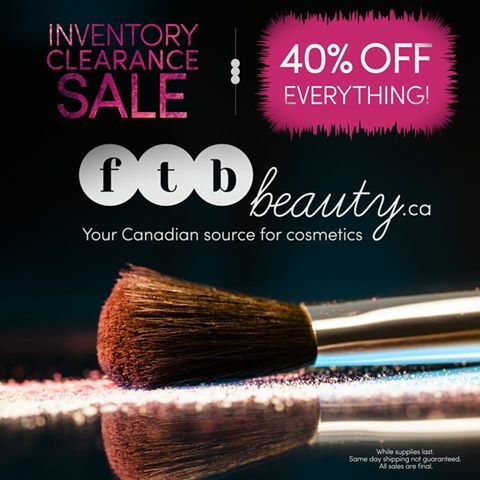 Canadian friends - FTB Beauty is having a huge 40% off sale right now. I just saw it posted on Facebook. They carry some hard to find brands here. I ended up ordering some Real Technique brushes, and miracle sponges. I've never tried them. But the sets are like $26 each, with 40% off - that's a steal! Check it out! Canadian prices, and it's free shipping! I have never ordered from them before, but they are closing up shop. Have you heard the new Lana Del Rey and The Weeknd song called Lust for Life? It came out a few days ago, and I've had it stuck in my head since. I'm not the biggest fan of either one of them, but I like both of their music, and I find their voices work so well with one another! Video is here. 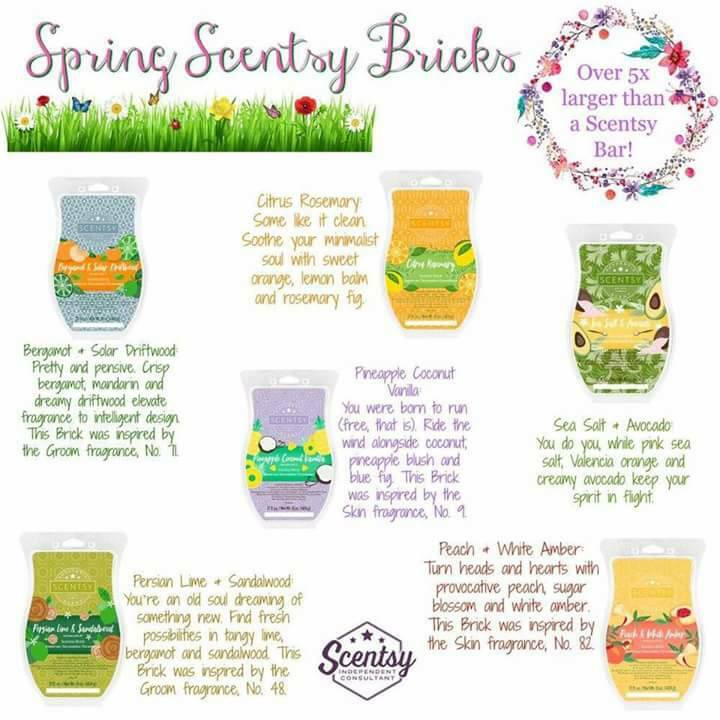 My Scentsy bricks came in! I ended up choosing Peach and White Amber, and Pineapple Coconut Vanilla. They aren't as heavily fragranced as I thought they would be, but they are nice! I also decided on ordering three bars - Gleeful Grape, Sunkissed Citrus and Summer Sunshine. I'm so ready for summer! We finally started our low carb diet this week. We were supposed to start awhile back, and with Easter and other events going on, it just never happened. We make excuses, but now we are finally on track. 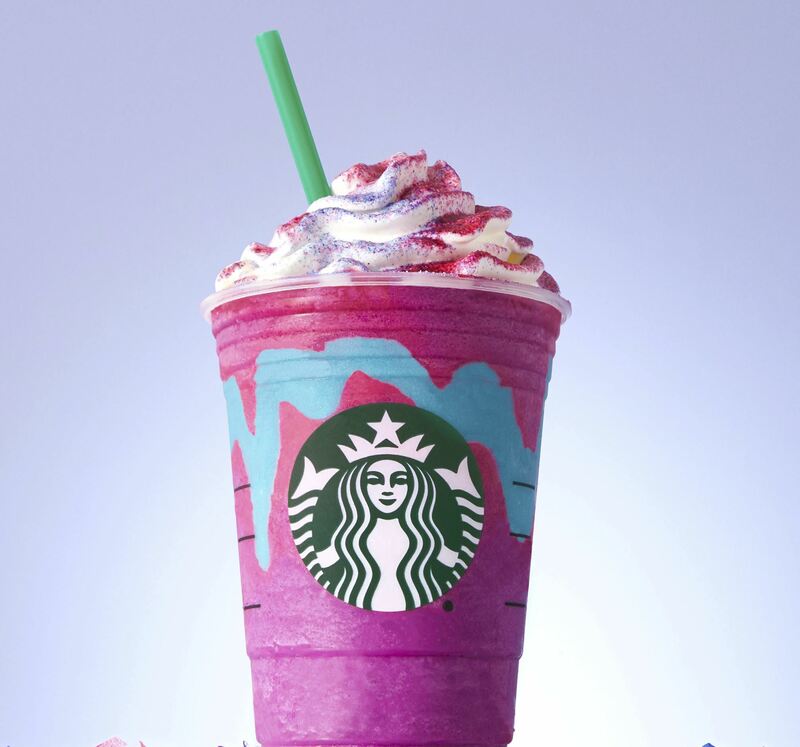 Of course, Starbucks had to release that unicorn frappuccino that everyone is sharing all over social media. I really want to try it but I'm going to hold off. I do have a slight feeling that it will be back, or be made permanent, just because people went so crazy for it. McDonald's also released an Oreo Coffee Frappe as well. I just have to remember this is only for a little and then we can add a treat here and there, but focus on what we need to do now. I've already gone down 3lbs since Monday (I know, it's all water) and feel less bloated, I can't wait to see the scale drop even more. We can do this!